Crowdfunding is a new concept with a lot of different implementations. We have developed a specific offering to share our expertise about crowdfunding. Contact us to book a training session, request advice or to explore Brussels. Crowdfunding is becoming ever more popular. The aim of this practical information session is to gain a deeper understanding of the various forms of crowdfunding, i.e. financial crowdfunding, social crowdfunding, etc. In addition to this, you will also be given an overview of the major players in this rapidly changing market. 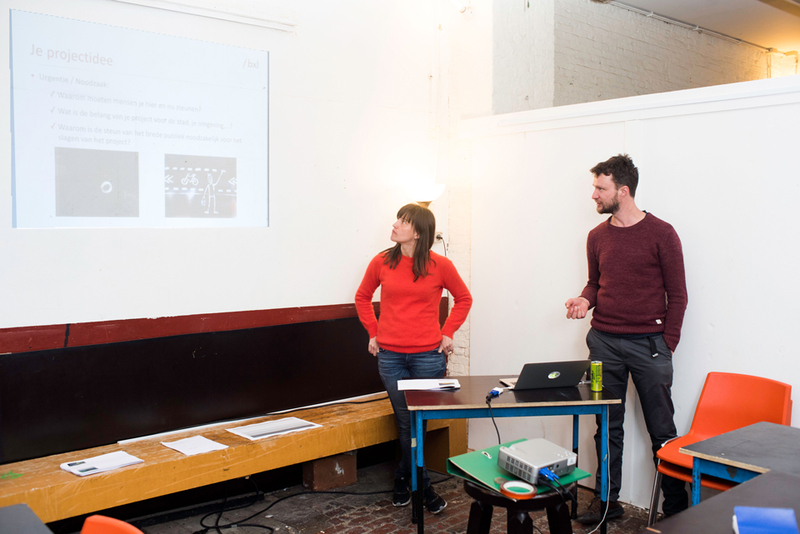 In the second part of the training we zoom in on social crowdfunding. We explain how you can use crowdfunding as financial leverage, as a communication tool and to facilitate networking. Social crowdfunding and start-ups: a win-win! (Social) Crowdfunding - How to run a crowdfunding campaign? Often, developing a crowdfunding campaign involves a tailor-made approach. In addition to the Growfunding workshop for new project owners, the Growfunding team is regularly asked to give customised advice. We can provide consultancy services for established or fledgling businesses, artistic and audio-visual projects and social project ideas for socially vulnerable young people, etc. As passionate natives of Brussels, we know our city like the back of our hands. Would you like to get to know the back streets of Brussels? From alternative cycling routes and recent local initiatives to youth projects and social campaigns? Contact us and we will create a customised programme for your organisation or group of friends. For example, a cycling or walking route around the Growfunding projects or an interactive lecture at a unique location etc.